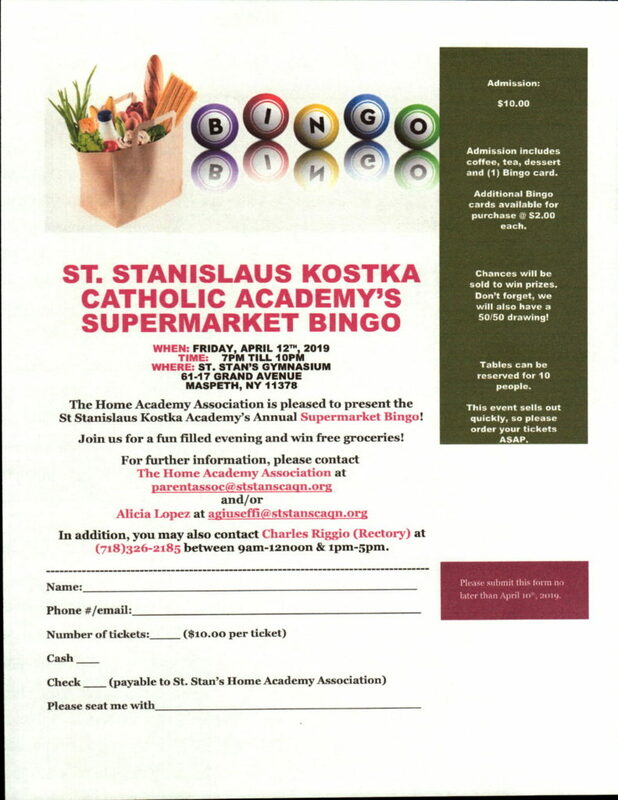 The Home Academy Association is pleased to present the St. Stanislaus Kostka Catholic Academy’s Annual Super Market Bingo! SS–Papers due on Tuesday, 1/22! Consult Google Classroom for directions. Presentation grades will be returned next week. -Presentation grades will be returned next week. Read TB p. 116-121 and answer the Creating Writing Prompt question in one paragraph on looseleaf. SS–Civil War quiz tomorrow, 1/11! The Rise of Babylon and the Amorites Google presentations due: Monday! -Complete questions (#14-18) from pgs. 304 & 305 on looseleaf. Chapters 11-16 Quiz tomorrow! -finish your modern-day versions of the story of the three magi. -Complete the following creative writing prompts on looseleaf. If you met Jesus in person today, and you could give him one gift, what would you give him? Why? -Vocabulary index cards due tomorrow! ELA–GSKTTU exam (Chapters 1-10 and vocabulary) Thursday! SS–Read TB p. 98-100 & answer review questions on pgs. 99 & 100 ***Complete on looseleaf. In November the Pre-K classes theme was “All About Us” .The children shared special memories and traditions they have with their loved ones. 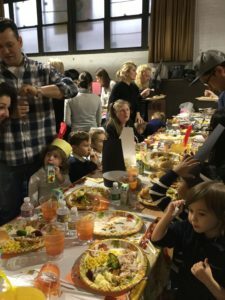 Our Thanksgiving feast was delightful! 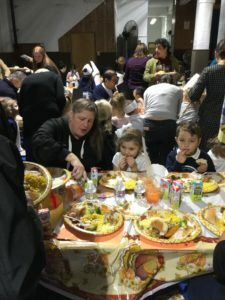 We enjoyed sharing a true Thanksgiving meal with our St. Stans Family and loved ones. Stay tuned for December events!